Complies with latest British Standard. New longer 20mm anti-saw, steel dead bolt. Steel case with hardened anti-drill plates. Five close gated levers with built-in anti-pick device. Steel latch bolt may be reversed to suit left or right hand doors. Easy fit replacement for most mortice locks of the same overall width. Mortice lock follower suitable for 8mm spindle. Rebated conversion sets available 13mm. Keyhole aperture protected by curtain. Steel, plated, unnumbered keys. 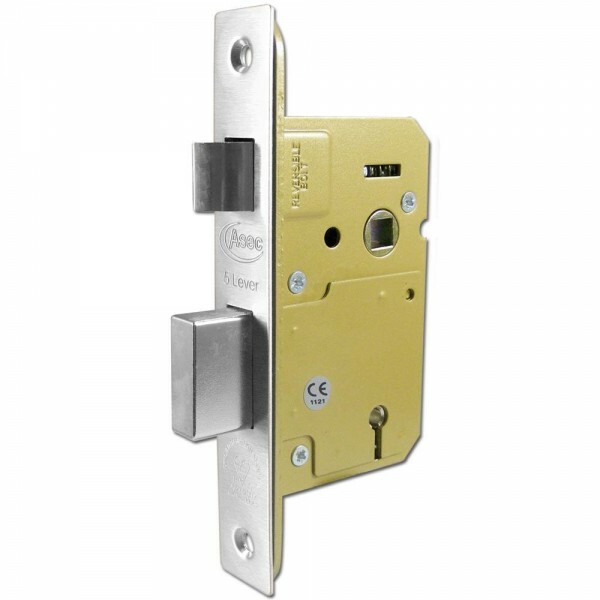 The box striking plate is constructed from steel to resist attack and to meet the requirements of British Standard BS3621:2007 for thief resistant locks. This product range has 1000 key variations.